Seriously Ill Federal Prisoners Released Under New Compassionate Release Law Judges are beginning to limit the sentences of cancer sufferers and other badly ailing prisoners after a law passed last year by Congress. 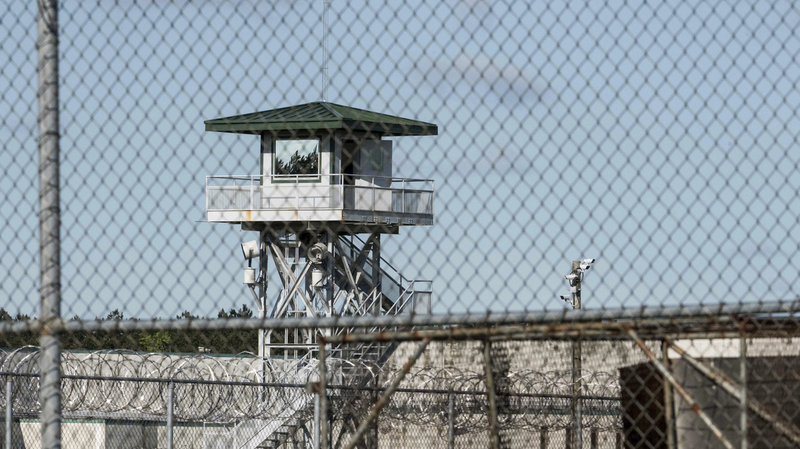 Seriously ill federal prisoners have new options to request compassionate release under authority granted by a law, the First Step Act, passed last year. Last October, a federal prisoner named Richard Evans noticed a suspicious mass in his neck. He reported the condition to prison officials in Louisiana. Nothing happened. Evans, 74, is a former doctor who was convicted of conspiracy, fraud and distributing oxycodone and hydrocodone. He received a five-year sentence. On Thursday afternoon, about 22 months into his prison term, Evans was freed on compassionate release — the result of a new law that allows inmates with serious illnesses to make their pleas to a federal judge if the Federal Bureau of Prisons fails to act. Evans took his case to U.S. District Judge Kenneth Hoyt, who found that Evans had presented "extraordinary and compelling reasons" justifying a reduction in his sentence. The judge acted within only a few days of the prisoner's request, reducing Evans' penalty to the time he'd already served and ordering a three-year term of supervised release. "Without the court process, our client would die in prison," said attorneys David Gerger, Samy Khalil and Ashlee McFarlane. "Instead, we had an independent judge and fair-minded prosecutor, and the law worked." Evans' siblings drove to Louisiana on Thursday afternoon to pick him up from the Oakdale prison, returning home with him to Houston. But the prognosis for Evans is far from clear. Next week, he is scheduled to visit experts at MD Anderson Cancer Center for an evaluation. Since his first report to authorities on Oct. 18, 2018, the mass on his neck has expanded. Five months later, his lawyers said it now measures 5 inches, black and bulging, taking up the entire right side of his neck. Doctors have diagnosed a malignant melanoma. Evans' plight underscores the serious bind for prisoners facing life-threatening illnesses — and the real-world effects of the First Step Act, a law President Trump signed last December to lighten sentences for some drug offenders. Another part of the law gives sick or elderly inmates the chance to petition a judge for early release if the Bureau of Prisons fails to act on their petitions after 30 days. Prisoners must demonstrate that their conditions are severe and that the prison system is poorly equipped to treat them. Families Against Mandatory Minimums — a nonprofit group that has spent years advocating for expanded compassionate release — recently highlighted a case where a prisoner suffering from stage 4 cancer was approved for release, but the inmate died before the order could take effect. "All of us were stunned," said FAMM president Kevin Ring in a recent email to supporters. "How could this have happened?" Ring said FAMM's Facebook group has been sharing information about how to prepare petitions for release. And the group's lawyers are doing what they can to support families seeking help, too. Price said the new possibilities opened up by the law have changed her work. "It is the most amazing feeling to work with the many lawyers who are filing and beginning to win compassionate release motions for prisoners who I know would never have made it to court, were it up to the BOP." Congress initially carved out an exception for compassionate release for inmates in 1984, but requests were rarely granted. The Justice Department's inspector general studied the issue and found the program was poorly managed and rife with confusion.